From headcolds to coughing so hard I sprained my back (not funny – I’m spending the weekend stuck in bed!) and losing the lid of my Keep Cup, this hasn’t been the best of weeks for me. I didn’t feel up to braving the markets in the pouring rain last Sunday so I’ve accumulated quite a few more fruit stickers this week. And then yesterday when I ran out of milk, getting to Moore Wilsons wasn’t an option so it’s been back to the powdered milk. It’s also meant that my experiments in washing up liquid alternatives haven’t started but I was very interested to hear from my Mother about how her Mother washed dishes pre washing up liquid, which only really come into use in Europe in the 1950s and I’d say it was the 1979s before it became ubiquitous in households. Essentially, my grandmother grated soap into a tin that had holes punched in the bottom. Then she ran the tin under the hot tap and out came soapy water. This sounds like a very simple, effective, waste free solution so I think I shall try it first once I can get to the shops again! 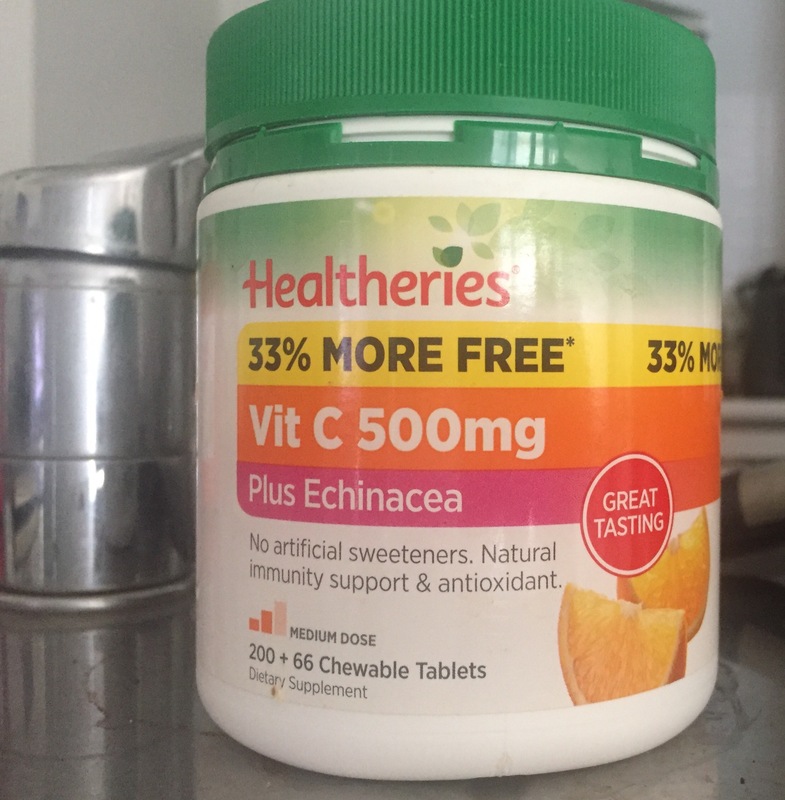 I could use soap flakes too but I quite fancy going back to basics and have an old vitamin C container that should work well with a few holes and saves it from the bin. In the meantime, I’ve topped what little detergent was left with water and that should last me a few more days. I had one success through. 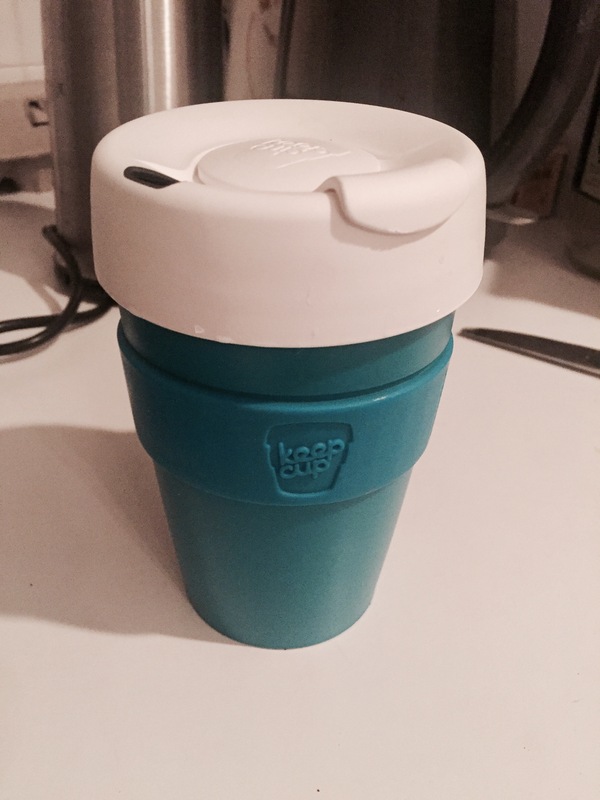 I acquired another lid for my keep cup. Work supplied 15 glass keep cups last year as part of our In house sustainability drive. We opted to keep them for communal use rather than hand them out, which means that the lids aren’t really used and luckily they fit my keep cup too. I just need an orange band now to have a very Irish cup – very fitting for St Patrick’s Day! Keep cup, that’s a good name.